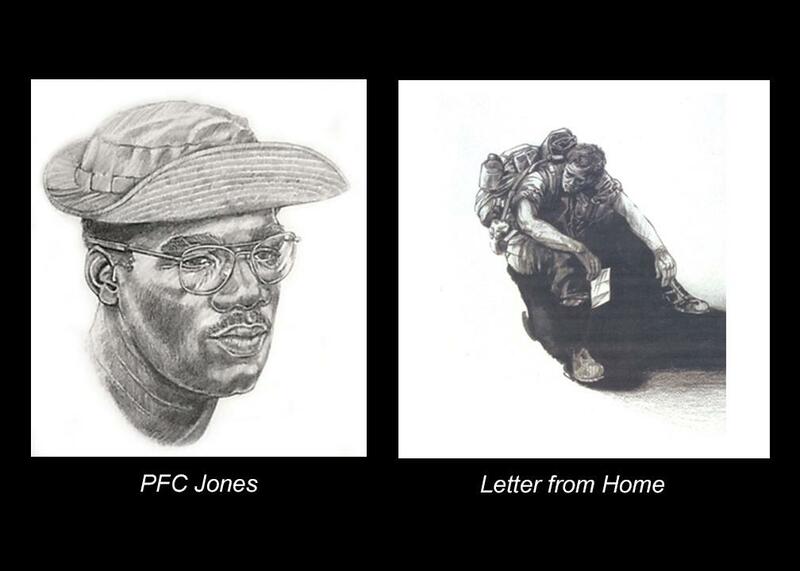 Title: "The Loss of so many"
Served in 199th Light Infantry Brigade and Second Field Force as an infantryman 11Bravo in the field ( 70-71). I had just graduated with a Bachelor of Fine Arts from Washington University which ended my student deferment. The government had disallowed W2 deferments for things like going for more education. The government needed more soldiers to join in the Vietnam adventure. I was drafted within 30 days. Unfortunately too late , my lottery draft number was way high at 341 which made it even more annoying to serve. I never considered a draft to be a democratic gesture. It always reminded me of the British navy when they conscripted soldiers to serve in their navy against their will. If I wanted to go to war I would have joined of my own free will. The war was unpopular on all campuses across the nation. To add insult to injury, soldiers who served were not given respect, rather they were summed up to be radicals or crazy sociopaths, even in the movies. There seemed to be no empathy for those who served and risked their lives for the United States Armed Forces. That has always bothered me. When I was a youngster, My uncle had valorously served in WW2 against the japs in the Philipines, then came home with PTSD and wasted away over the years after that ordeal. Even as a child, I could comprehend that WW2 was a ‘ them or us proposition’. Vietnam, had no such clarity. So with an attitude I took my chances like all the others hoping to just get lucky and come back alive and unscathed. Once in Vietnam, I was sent to a combat unit in the field where we went on missions to destroy the enemy . It was a very bad situation, with our company and platoon getting ambushed numerous times. I have lots of stories, but none end very well. The soldiers I worked with continued to impress me and the consensus was we were all in a place we didn’t want to be. I lost many friends to the war. 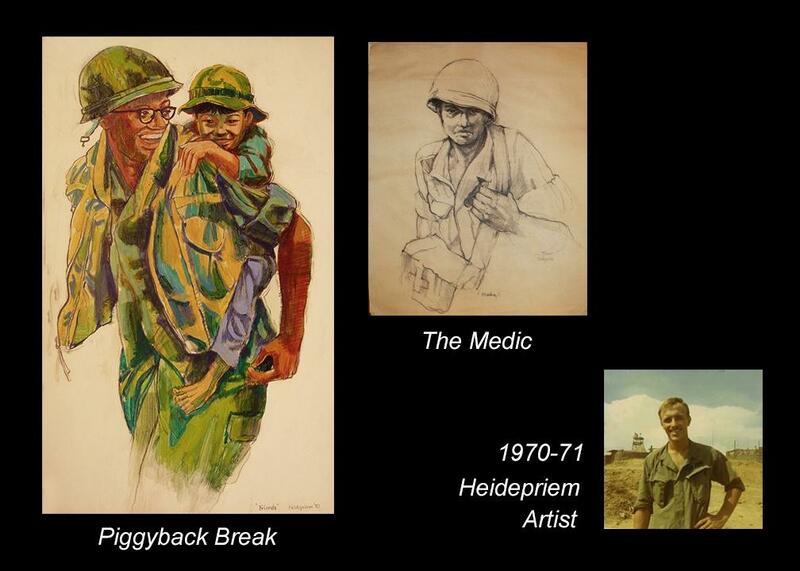 I tried to remember some of them and generated artwork (70-71) on the some of the soldiers I knew. Many of the artworks are in the National Veterans Art Museum in Chicago. I still hold that art as some of the most meaningful artwork I’ve done. 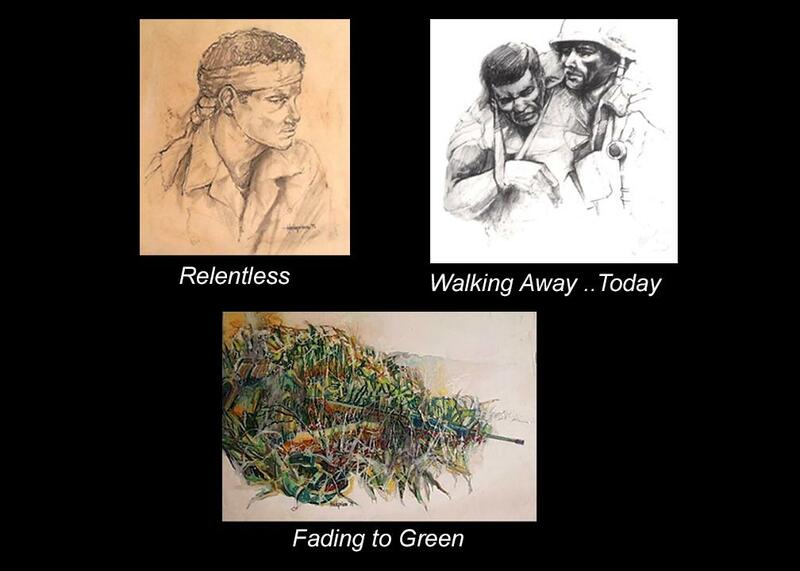 Vietnam Vets, might appreciate the pictures. The artwork gives a small amount of tribute and recognition to the brave souls that I knew in that time . It was a privilege to serve with them. I still feel the loss of such fine individuals and friends. Not sure any war is worth the cost of such loss, especially the Vietnam War. Even though in time I was able to see the need to help the South Vietnamese from the communist North proliferation, it still seems regrettable, that expense, of those fine souls.